Easter Competition - Win this beautiful vintage style necklace! I've decided to give away this lovely vintage inspired freshwater pearl and brass locket necklace for Easter! 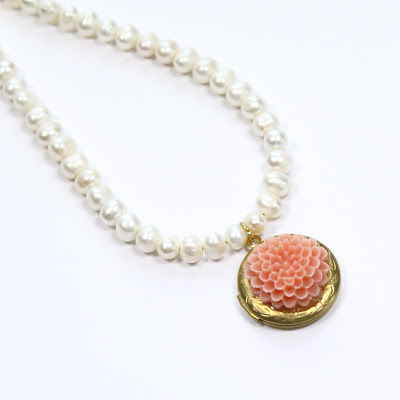 The necklace is perfect for these gorgeous up and coming summer months and features genuine fresh water pearls and beautiful brass and floral cabochon locket!